Sightseeing is a great way to get an understanding of Berlin whilst you are visiting the city, most places have information in German and in English and best of all you can do it on a budget. Many of the open-air monuments, memorials, parks and gardens are free like the Brandenburger Tor, The Memorial to The Murdered Jews of Europe, even the Reichstagsgebäude (German parliament building). 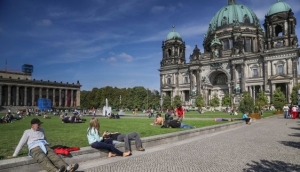 Sightseeing options like city bus or walking tours wont cost the earth and other historical buildings and monuments may have a small entry fee like the Berliner Dom (Berlin Cathedral) and the Siegessäule (Victory Collumn).